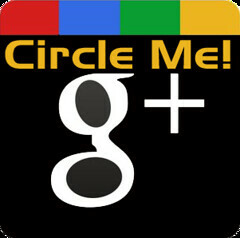 How do you set up your Google+ Circles? Here’s mine so far. Private Msgs – This circle came from a post on how to keep track of private message and their histories. When I message someone on G+(share a post with only the person you wish to talk with), I also share it with this Circle. There is no one in this empty circle, but sorting by selecting it now shows all the private messages I’ve had. Kind of like an e-mail inbox. Nice tip! Celebreties – I did split my Stalking circle as people I find interesting online, and celebrities. Why? Celebrities don’t usually add much content that I will use in my life. How much can Paris Hilton or Snoop Dogg offer me for advice? Google+ is still in it’s infancy. Any time a new online service is launched to the public, there is a learning curve for new users. The best way to overcome confusion is to share ‘best practices‘ with everyone. I’m not saying my way is the best way, however when it comes to Google+ Circles, I have set up a small amount of Circles that make sense and work for me. 1) Stalking Circle. I follow many people that are in the tech community. Anyone that I find interesting, I add them to this circle. I never share personal information with this circle, only follow posts and interact with other Plusers on posts. It’s a great way to follow celebrities, and other people that you don’t know or don’t know you. I treat this like my Twitter feed. There is loads of content on Google+, and sorting this group keeps my Stream orderly. 4) Acquaintances. People I know a little bit(unlike my Stalking Circle with strangers), but am not comfortable sharing all my personal details with. This group will mostly see my public blog posts, or anything else that I would have posted on Twitter. I also put those people that I have known for far too long and simply don’t trust them with not being a stalker or getting into all their drama. Luckily, because I am a bit of a loner, there aren’t too many in this Circle. What Circles have you created and how do you use this amazing sorting feature? Next PostNext 20 years ago today Nirvana released Nevermind. Is that possible?